F.P. Journe is saying farewell to its classic, 38mm case with a set of stainless steel watches made up of five signature models – all with a diameter of 38mm in a limited edition of just 38 sets. When F.P. 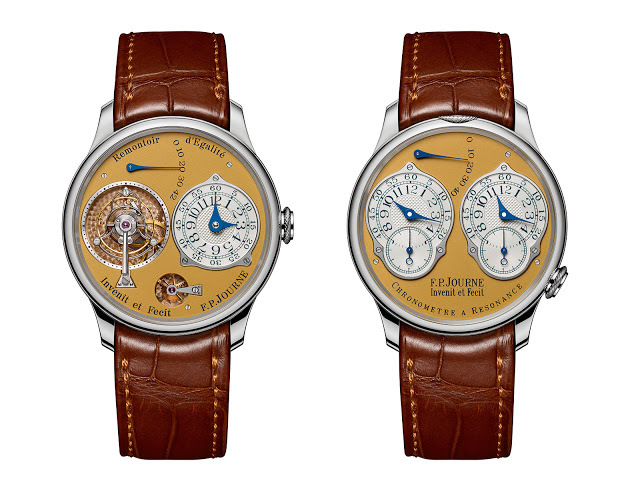 Journe presented his first tourbillon wristwatch in 1991, it had a 38mm case. Though large at the time, modern tastes dictated larger sizes and a 40mm case was devised in 2001. Eventually a 42mm case joined the offerings, most recently with the new Octa Lune. Now the original, 38mm size has come to an end, an occasion F.P. 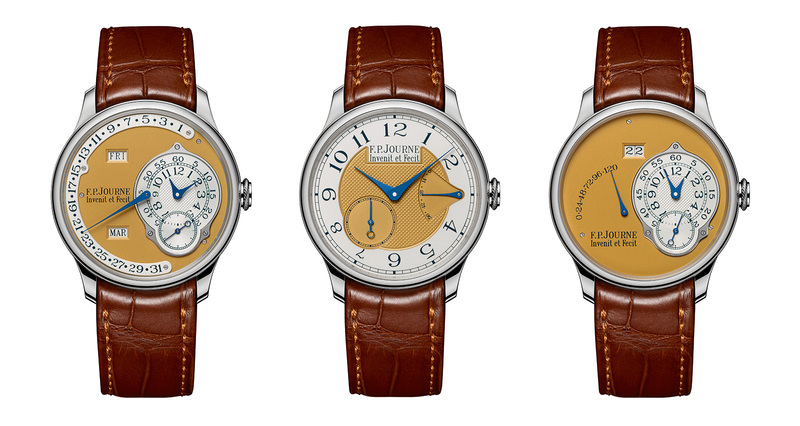 Journe is commemorating with a five-piece set comprising his most iconic timepieces, each in a 38mm, stainless steel case. The most unusual watch in the set is the Tourbillon Souverain because it’s equipped with the original F.P. Journe Tourbillon Remontoir d’Egalite movement, but with the bridges and base plate made of rose gold for the first and only time. Rhodium-plated brass was the material used in the original run of tourbillon wristwatches. 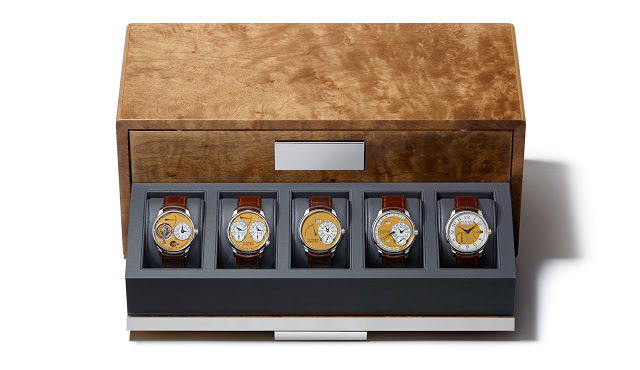 The other models in the set are the Resonance (in its original, symmetric guise), Octa Calendrier, Octa Reserve de Marche and Chronometre Souverain. All are equipped with movements featuring rose gold bridges and main plates, just as in the regular collection. All are fitted with gold dials finished with a “bronze patina”, silvered sub-dials and blued steel hands. Priced at SFr268,000 before taxes, the set is delivered in a burl wood box inlaid with a brass plate engraved with the owner’s name. For those wondering, the retail price for the set is approximately 20 percent less than the cumulative cost of buying each of these watches in 38 mm platinum cases. F.P. Journe bestowed gold dials on three models in the collection: the Chronomètre Souverain, Octa Lune and Octa Réserve. Offered at a modest premium over the current models, the new timepieces feature dials in solid 18k gold with mirror-finished Arabic numerals.